Before getting into more specifics, I have to say I'm very conflicted about You. This show is asking us to root for a stalker doing some pretty creepy things and forgive him because he's in love and can be charming. Despite how absurd this task is, I'm fully sold and am in this for the long haul. I believe this is only possible because we spend a few minutes seeing his charms, hearing is observations in Mr. Robot-esque fashion, and learning that he's really good with kids. During the episode, they do a decent job of balancing the creepy with charming by showing Joe's creepy side right before or after a nice or charming action of his. It's worked so far, but I'm not sure how long it can sustain before Joe crosses a point of no return. Let me stop getting ahead of myself, though, and talk about our premiere. We open with Joe in his element at the bookstore where he works where he soon is introduced to the eponymous "you" he's speaking to, Beck. They have a fairly charming conversation as he recommends a book entitled Desperate Characters. As he convinces her to purchase the book, we hear his thoughts on all the signs she's giving that she's totally into him. While a bit conceited, he makes some very valid points, establishing him as an astute observer to further normalize some later presumptions of his. We then hop into some harsh lessons on how little privacy we have on the internet (especially if your social media accounts aren't set to private) as he learns everything there is to know about Beck, including her address. After stalking her and establishing her usual schedule under the guise of "research", he learns of her boyfriend, Benji, who comes over to his place. 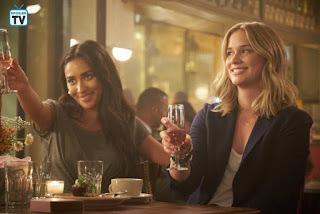 He's a complete tool, as Joe is quickly able to deduce, and manages to talk Beck into sleeping with him fresh from their argument about her finding him hooking up with a girl in the bathroom at a recent party. We then discover just how little he knows about Beck when he notices the book she's purchased. He tells her she shouldn't have a book called Desperate Characters since she isn't one, even though she totally is. Joe continues his "research", which leads him to a poetry bar Beck is attending. Rather than just introducing himself at the bar under the guise of happening to be there that night, he spends the whole night hiding in plain sight before leaving. He is then given a golden opportunity, however, when Beck shows up at the subway station where he is currently waiting. Drunk, Beck ends up falling into the path of an approaching train and Joe, being the only other person in the station aside from a homeless man, leaps into action. He pulls her up just in time and they share a cute moment staring into each other's eyes before she vomits on him. Despite the upchuck, he is still very much in love with her, so maybe it really is true love. When he finally gets her home, she realizes her phone is gone, probably on the tracks where she fell. Plot twist, Joe actually stole it as a way to further look into her life. Again, we only find this out after watching them have a very cute and charming night together, so it isn't as creepy as it could have been. Right? Regardless, she brings him a book the next day with an inside-joke poem written on the inside cover where they make plans to make plans for a drink some time. Of course, she is completely unaware that he has pretended to be a soda buyer lured Benji to his basement book room by saying he wanted to invest in Benji's homemade soda before bashing him in the head with a book repair mallet and locking him up. You know, just those casual things you do for the woman you love. 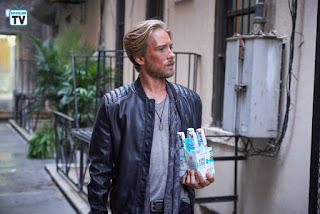 While watching the Joe/Beck relationship play out and wondering if you're actually rooting for it or not, the show gives us another, less creepy relationship to look at. Joe has befriended a young boy named Paco who lives next door to him in a neglectful home. They chat about books together, and Joe does what he can to keep Paco from having to listen to the fighting and/or love-making that can be heard coming from his apartment at any given moment, and even gives Paco an entire meatball sub when he deduces that Paco hasn't been given dinner. It's a wonderful friendship, and Paco desperately needs a positive male role model in his life. Granted, Joe isn't a perfect candidate, but Paco has no idea about the creepy side of Joe, so it currently isn't too much of an issue. Speaking of desperate, that brings me to something I hope this show continues. The book featured in this episode, Desperate Characters, provides its own commentary/observations of the characters in You. Joe is desperate for love, particularly with Beck, while Beck is desperate for acceptance and validation. We see this illustrated in Joe's continuous pursuit of Beck and in Beck's actions of staying with a terrible boyfriend, spending time with friends she doesn't have much in common with, and agreeing to an off-campus meeting with her adviser even though it's clear he's only asking her to meet so he can put the moves on her. We haven't seen this meeting yet, but the man wasn't as subtle as he thinks he was. Or I just have too little faith in people. But I'm pretty sure it's the first option. Though not a major player in the series, Paco is a desperate character in his own right as well; he is desperate for a positive, nurturing environment from adult figures. As long as Joe doesn't teach him how to stalk people or hold someone captive if they aren't a right match for a woman you're in love with, he could continue to fit that bill nicely. 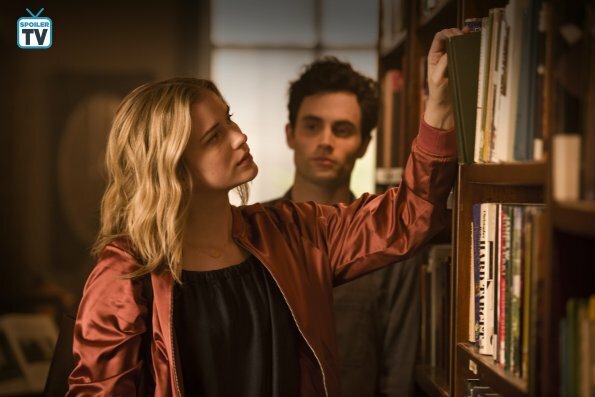 So, even though I'm not happy about wanting things to turn out well for Joe, I do, but probably only because Penn Badgley has managed to win me over with Joe's wit, love of books, and pessimistic views on other people in the world. It also doesn't hurt that Joe and Beck have wonderful chemistry together and could actually make a great couple if he starts taking some medication or something. How he handles captive Benji will certainly provide me with a complete picture of what kind of person Joe truly is and whether I should continue to root for him. I really hope he starts making better choices. What did you think of the premiere? 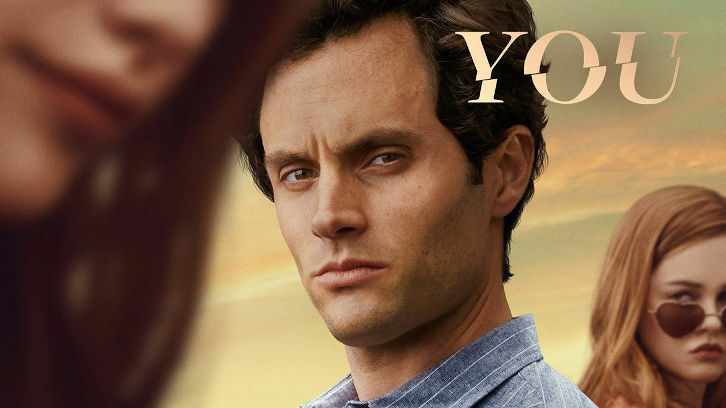 Are you with Joe currently, or is he just too creepy? What do you think is going to happen with Benji? Sound off in the comments below!